JUST AMAZING! LUXURIOUS EXECUTIVE CUSTOM HOME IS AN AVIATOR&apos;S DREAM! 10,455 SF OF LIVING SPACE, 6 BEDROOMS, 7.2 BATHROOMS, A 60&apos;X60&apos; RADIANT HEATED ATTACHED HANGER W/14&apos;X55&apos; CUSTOM BI-FOLD DOOR! COMPLETE HOUSE A/V CONTROL 4 SYSTEM! CHEFS GOURMET KITCHEN W/TOP OF THE LINE STAINLESS STEEL APPLIANCES INCLUDING WOLF/SUB ZERO, BRAND NEW CUSTOM CABINETS, GRANITE COUNTERS, WALK-IN PANTRY, HARDWOOD FLOORS & HUGE EAT-IN AREA W/MOTORIZED BLINDS! 3RD FLOOR OBSERVATORY W/SPIRAL STAIRCASE! 1ST FLOOR OFFICE! 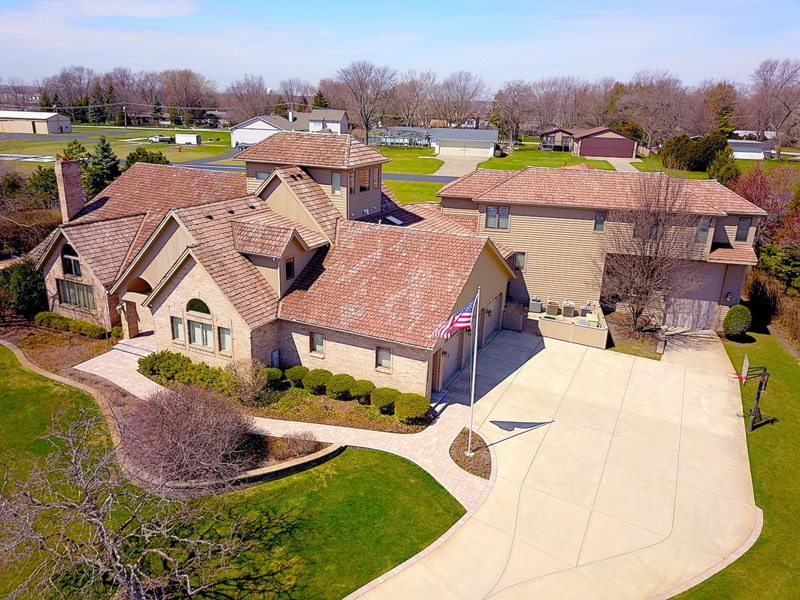 MASTER SUITE W/2 WALK-IN CLOSETS, WALK-IN SHOWER W/BODY SPRAYERS AND WHIRLPOOL/BUBBLER!, FINISHED BASEMENT W/HOME THEATRE, GAS FIREPLACE, GAME ROOM AREA & WET BAR! 2 LAUNDRY ROOMS! SUNROOM W/HEATED FLOOR! MAINTENANCE FREE DECK! BRICK PAVER PATIO! 18X36 INGROUND HEATED POOL W/NEWER ROLL TOP COVER! IN-LAW SUITE ABOVE HANGER W/KITCHEN AND LVING ROOM! CUSTOM PHONE SYSTEM! BACK-UP GENERATOR! DISTRICT #204 W/NEUQUA VALLEY HIGH SCHOOL! SO MUCH MORE! BRING YOUR PLANE OR CAR COLLECTION! WELCOME HOME!